What is ReActing by Heart? Every scene in a script is really just a conversation. One study at UCLA indicated that up to 93 percent(!) 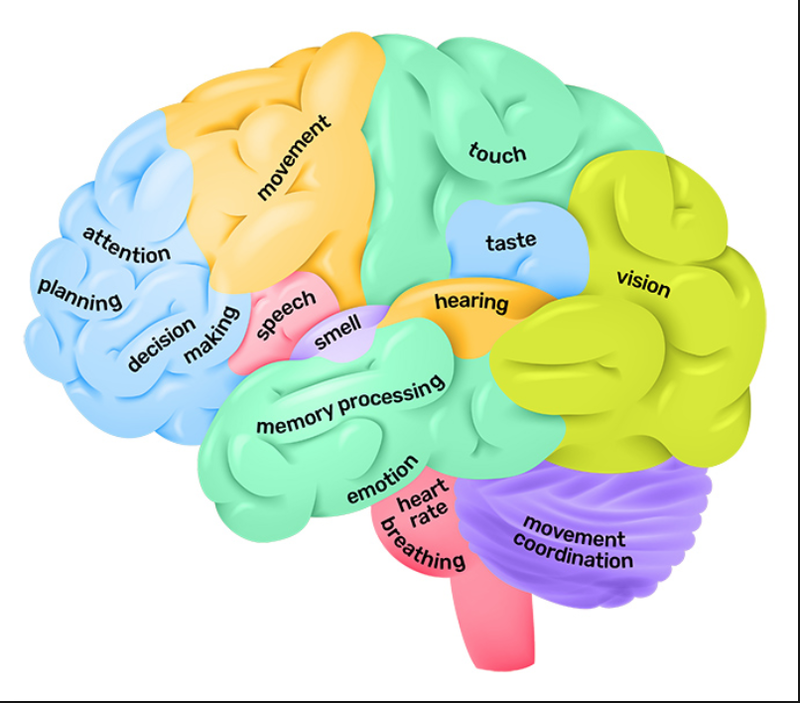 of communication effectiveness is determined by nonverbal cues. Yet, some actors have their faces buried in their script during their auditions. If your eyes are down looking at your sides at the wrong time, how can you give or receive the nonverbal cues that are happening? How can you feel the relationship grow or diminish as you struggle to win your point? You can’t. It’s impossible. This exercise is about being off the page and available for the twists and turns, the feelings and thoughts, the entire ride that occurs moment-to-moment as the conversation comes to life. We’ll be doing an exercise (I like to call it a game - because it’s so fun!) to help you FEEL what it means to be in the moment in a whole new, unforgettable, usable and eﬀortless way. You’ll be taught the rules to the game, and at ﬁrst it might seem technical. After you allow yourself to feel safe, you will notice that your body and mind start to listen and automatically respond to the other person. You'll see that the script gives you WHAT to say, but listening to the other person, gives you HOW to say it — also ReActing by Heart is the perfect prerequisite to Auditioning by Heart! You are more likely to show a deeper understanding of the material in the three-day Auditioning by Heart Workshop, if you took the one-day intensive ReActing by Heart ﬁrst. 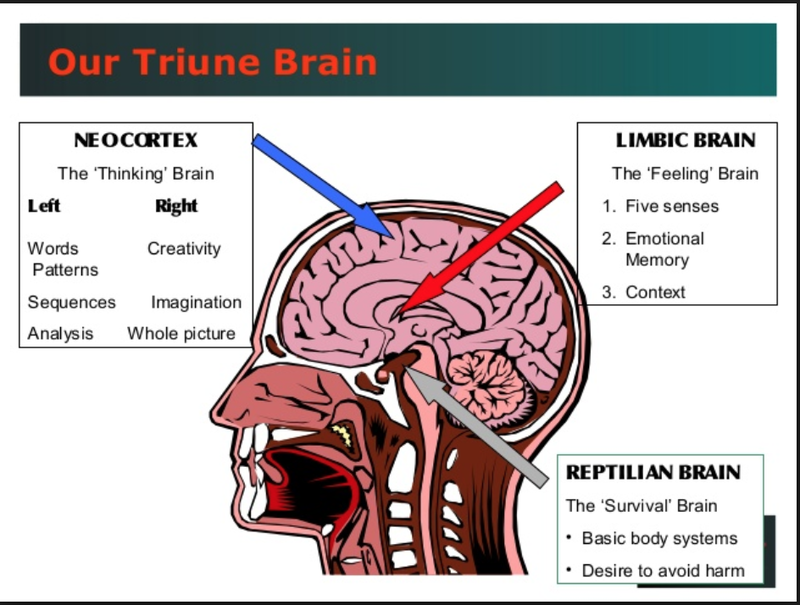 The red parts in the picture are the “feeling brain”, the “thinking brain” is colored blue. What does the camera hate? Acting not grounded in images (“Schmacting”). What does the camera love? Reacting to images (Behavior). Memorizing makes most actors susceptible to getting locked into a delivery and they start “schmacting”. Memorizing forces actors to give up what valuable time they had to do the real preparation for the audition in order to memorize. ReActing by Heart will teach you how to lay the groundwork that brings impulses and intention to the audition, which will naturally motivate an actor to learn their lines, not by rote memorization, but “by Heart”.